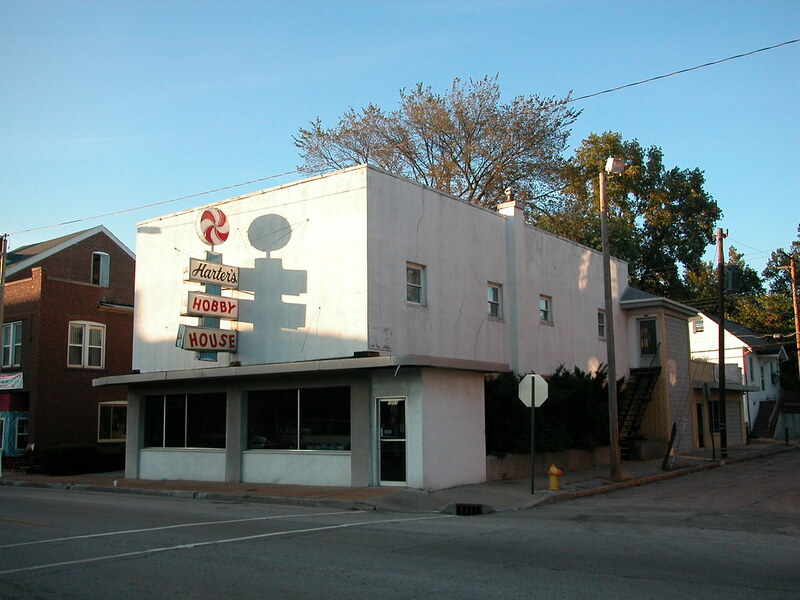 For decades, Harter’s Hobby House at 1001 West Main in Belleville beckoned hobbyists with its colorful sign, which resembled a blue pin-striped stick of dynamite with a starlight mint-like pinwheel fuse. The sign is no more, having been replaced recently with a simple new sign. The old sign was a complex metal sign with three plastic back-lit name boards, an enameled body and neon tubing on the pinwheel. 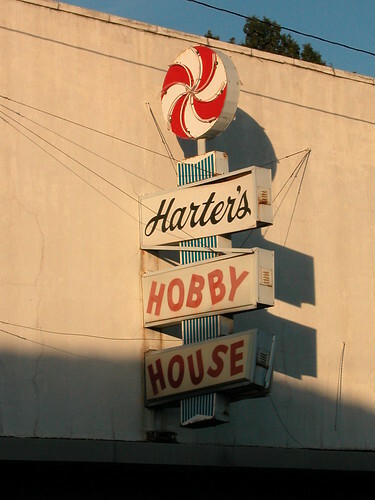 The letters in the possessive “Harter’s” were proper cursive fit for business, while the words “Hobby House” had a carefree lettering somewhere between kindergarten script and a typesetter’s mistake. Where did the sign go? Anyone with information is welcome to post in the comments section or email the editor, who missed the changeover. 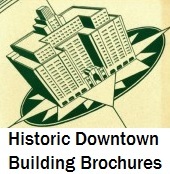 This entry was posted in Belleville, Illinois, Mid-Century Modern, Neon, Signs. Bookmark the permalink.